Hi all! I thought I'd get your weekend off to a great start with an invitation for NEXT weekend - Deborah at Whipstitch has put together a fantastic weekend with Rae from Made by Rae and Karen Lepage, co-author of Sewing For Boys. It all kicks off Friday night with a Crafty Meet Up at Whipstitch from 7 - 9:30. It's free, all you need to do is RSVP so we know how many to expect. You can find all the RSVP info over on Deborah's blog right here. The activities on Saturday are going to be awesome as well but if you're not into sewing for kids or you have a busy weekend, come join us Friday night. 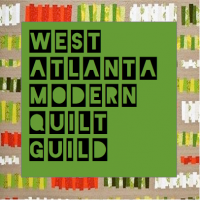 If you have fun you might want to think about coming back some weekend and joining us for the Atlanta Modern Sewing Circle meetings. We meet the last Saturday morning of every month at Whipstitch to sew and hang out - no pressure, just fun. Hope to see you next Friday! Have a great weekend! it was so cool to meet you in person! Your snacks totally rocked.